The first tip we have is to never wait on your repair work. If you know that there is a problem with your vehicle, it is important that you act quickly and do not put your repairs off. Your safety on the road could depend on it. Another tip is to get your tires checked regularly. Driving with defective tires can be extremely dangerous on the road for both you and surrounding vehicles. Make sure that your wiper blades are functioning effectively and get them replaced routinely. If you’re ever caught in the rain and your windshield wipers are not working, pull over and do NOT continue driving until your visibility improves. The main advice International Autos Body Shop in West Allis wants you to take away from this article is to make sure that you always stay up to date on all of your car maintenance. This includes routine services such as getting your oil changed or your brake pads replaced. 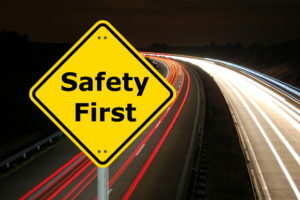 Even when you take all of the necessary safety precautions, we understand that accidents still occur. International Autos Body Shop in West Allis is up for the job of fixing any damage promptly and efficiently. Our professionally trained staff can get you back on the road in no time. We promise to get your car up and running so you can get back to work, school, or to run your daily errands safely. Our skilled auto-body technicians have the experience to service all makes and models. If you are currently in need of a repair shop, please fill out a request form and we will get your vehicle on the road to recovery as soon as possible. At International Autos Body Shop in West Allis, we take pride in providing outstanding customer service. We proudly serve the Metro Milwaukee area.